If you have a need for interim storage, then Mrs. Removal's successor can offer you storage's. Occasionally, it will be a time gap between emigration and migration. Then it may be good to know that we in the meantime can store your household goods, regardless of amount, in one of our secure and dry storage. As client to Mrs. Removal's successor you have a month's free storage. 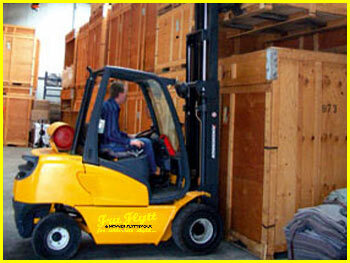 If you are in need for extended time of storage then you can prolong the time for a small fee. We can also receive large and/or small lots of storage, even if you're not a removal client to Mrs. Removal's successor. We charge a small fee per cubic meter and month for this. We can both collect and deliver the stored goods.